Don't swear off social media. Use it to your advantage. Here are 3 ways to be smart and safe when logged on to social media applications. Many people deleted their social media accounts following revelations about privacy violations on social media platforms and other concerns related to hate speech. However, as a scholar of social media and religion, I'd argue that rather than just stop using social media, people could use it to improve their overall well-being. Here are three ways to do so. Social media sites allow users to engage in various types of communication. There are impersonal forms of communication such as the single click "Like" button and more personal forms of communication such as direct messaging and comments. 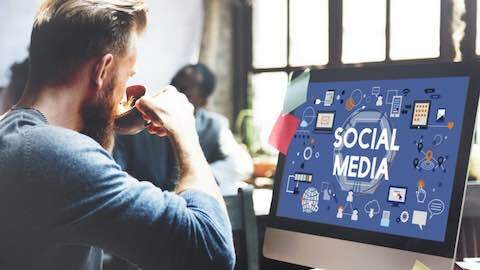 According to researchers in Germany, Sonja Utz and Johannes Breuer, using social networking sites for professional purposes can result in "informational benefits" such as knowing what is happening in one's field and developing professional connections. Researchers, however, have found that these professional benefits require active use of social networking sites. "Frequent skimming of posts," as Utz and Breuer explain, can lead to "short time benefits." What is more important, however, are "active contributions to work-related discussions." Internet & Social Media: "Ways to be Smart on Social Media "